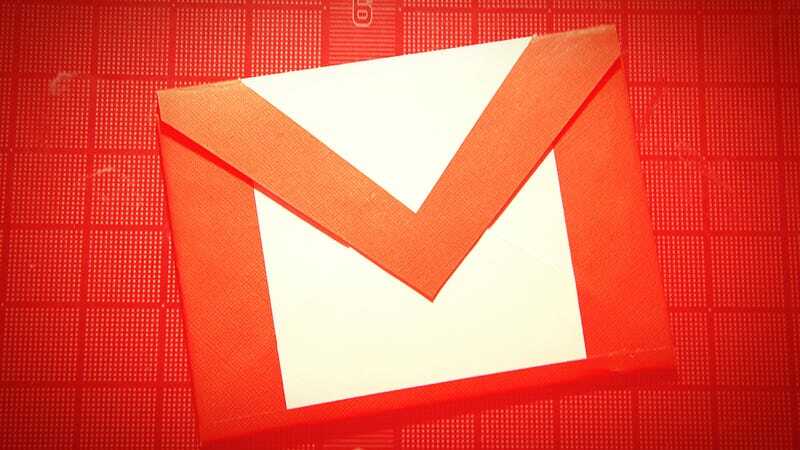 If you could add just one improvement to Gmail, what would it be? Chances are there's an add-on, extension or plug-in that does exactly what you want—a thriving ecosystem of third-party tools has grown up alongside Google's email client over the last ten years, and we've highlighted five of the most useful for you to cast your eyes over. You never know, one of these add-ons might transform the way you use your inbox. Google has tacked a basic to-do list manager into Gmail in the form of Tasks, but it's not brilliantly effective, and there's plenty of room for improvement. Todoist is an excellent alternative, bringing with it the ability to create tasks out of your emails intelligently, to creat multiple lists to sort your jobs into various categories (like personal and work) and other handy extras such as a productivity trend chart that shows how much progress you're making. Install the Todoist add-on and you'll see a new window appear in the lower right corner of the Gmail interface. From here you can add tasks manually as well as import them straight from individual emails. Todoist works across just about every desktop and mobile platform known to man, and if you upgrade to a premium account ($30 a year) then you can access additional features like reminders, custom labels, automatic backups and more. Gmail is about to be given a fresh coat of paint as Google upgrades all of its products to match Android L's new Material Design guidelines, but if you'd like to set the visual agenda yourself then give Gmelius a try. It adds several eye-catching visual flourishes (such as attachment icons that match their file type) and lets you bring back the old Compose window that Google saw fit to get rid of. You can remove the adverts, hide the footer, and much more. Once the plug-in is installed you'll be met with a long list of tweaks and features to play around with. Some of these require a premium account—$25 for a single user—and they cover the option to remove the People and Hangouts widgets, colorization and highlight tweaks and a beta tracking detection system that alerts you if an email is trying to monitor when you've opened and read a message. Nifty. Picking out the most important emails from the avalanche of incoming messages is a perennial problem, as Gmail's own Priority Inbox proves. AwayFind is a more drastic solution, offering mobile alerts for only the most urgent and significant emails—you can use it while you're away on holiday or taking a break without feeling that you're missing something that's happening in your inbox. In its own words, AwayFind helps you "escape from unimportant emails" and that's a good description. You can opt to get notifications based on person, topic or time, and the plug-in even helps you work out which messages are most important. You'll have to pay $5 per month to use the service as an individual user, but a 30-day free trial is available so you can see if you find it useful first. If you want to be able to jazz up your email signature then you're not going to do much better than WiseStamp. It can insert images, social media links, contact details, even your latest tweet or a specific RSS feed. Different signatures can be assigned to different email addresses too, so you don't have to ping all of your friends and family with an ultra-serious business signature. Despite the wealth of different options, everything is easy to configure thanks to the visual preview screen, and a premium option ($4 a month) is available if you want to be able to remove the WiseStamp branding, get access to more templates, and be able to set up an unlimited number of email addresses. Even if you don't think you want to use an email signature, give WiseStamp a go and see if it can change your mind. Boomerang usually appears in most lists of top Gmail extensions, and with good reason—it adds a whole new scheduling layer on top of your inbox so you can set emails to be sent at a later date (while you're away from your computer perhaps) and easily catch up on messages that need a response but haven't yet got one. You can safely archive messages knowing that Boomerang will remind you if important threads don't get a reply in a certain time limit. As is often the case, there are premium levels too if you want extras such as receipt tracking, mobile access, better support and so on ($4.99, $14.99 or $49.99 per month depending on the deal). The free edition will be more than enough for most users and you can get it set up in just a couple of clicks. If you want to know more about Boomerang and its development, Lifehacker has a great behind-the-scenes look. It wouldn't be difficult to come up with a list of 20 or 30 great Gmail add-ons, there are so many out there—if there's a particular one that you've found useful and would like to highlight, leave a note in the discussion below. Header image by Cairo under Creative Commons license.